Right now, a major fight is taking place in the Capitol – the extension of the Cap and Trade Program coupled with an Air Quality ‘improvement’ bill. A large and important bill package that on its surface appears to be a victory for environmental and climate justice advocates across the State. East Yards is calling a spade a spade and voicing our opposition to these bills. While no one will (or should) argue that we do not need to cut our greenhouse gas emissions while simultaneously supporting emission reductions in the local communities most impacted by poor air quality, neither of these bills (AB 398 and AB 617) get at the core of solving our most entrenched environmental and environmental justice issues – and in some cases make matters worse and our struggle for environmental justice that much harder. These bills are major concessions to the oil industry – and our communities will be worse off should they pass. (Communities for a Better Environment created a brief breakdown of the most egregious bill language here, and our letter of opposition here). 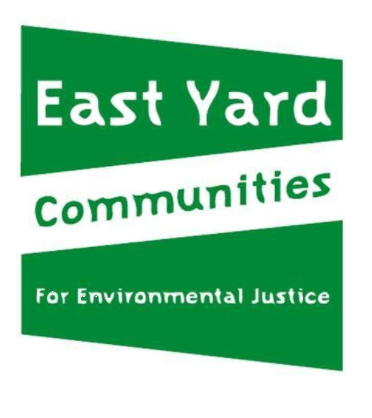 We have been working\ with our partners at Earthjustice and CCAEJ to ensure that our communities’ needs are at the forefront of the conversations to shape environmental legislation. But it’s the likes of Jerry Brown and liberal politics that so often sacrifice the most vulnerable among us in order to gain political capital through top-down, non-transparent processes under the guise of progressiveness. At the end of the day, we who live next to rail yards, warehouses, refineries, and transportation corridors bare the worst consequences from bad policies – and this is no exception. Time and time again, we are told that things will get better, our issues will get fixed, and we can trust people to do what they say they will do. We’ve got handfuls of IOU’s. To the Governor – don’t come down to our hood, eat our tortas, profess to care about our issues, then turn around and serve us a steaming pile. The Pro Tem should be equally ashamed and embarrassed to be pushing this as a monumental achievement, knowing full well that his constituents will be severely impacted, as well as the advocacy groups that make cries for unity but turn around to support terrible policies to save face. We don’t need fake allies. We don’t need more broken promises. And we definitely don’t need any more policies that will severely impact our already overburdened communities. We need real solutions, and beyond that, we need accountability. We acknowledge the hard work many organizations have put into the Cap and Trade process over the years, including several of our partners, and don’t want to diminish their efforts into forming these policies. But our communities are fighting for the right to breathe with dignity; we don’t have the luxury or privilege of accepting mediocrity.